Last night was Picture Night at Hop'n'Tots. I have been rolling my eyes at the excessive frou-frou-ness of Bella's costume. 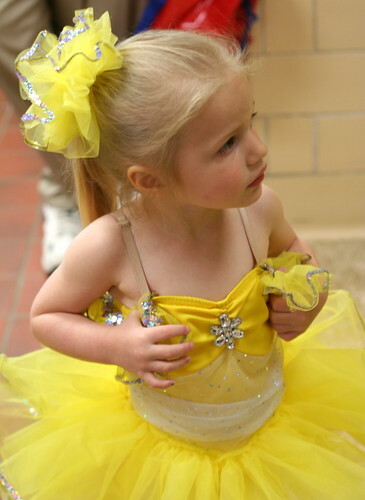 But when she had it on with all the other girls it was so stinkin' cute. 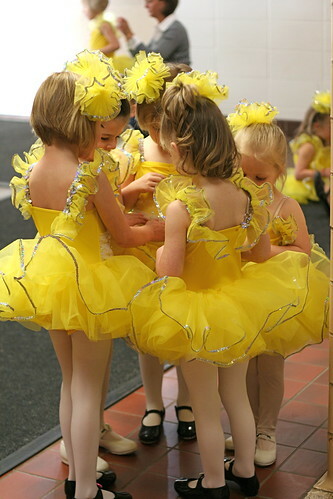 The recital is in two weeks. 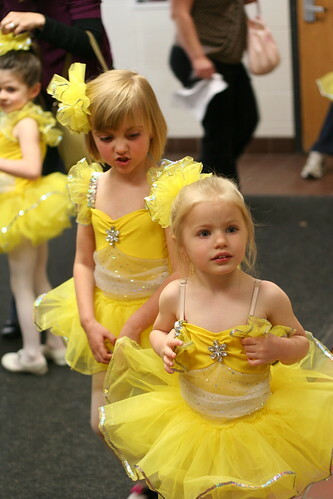 I was stressing to Bella that she needed to be careful with her costume since she needs it to be nice for her recital. 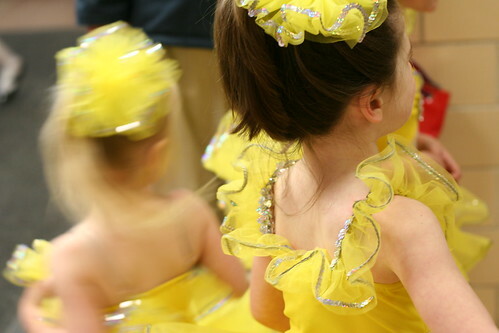 She says, "Recital?" And I said, "Where you're on stage and mommy and daddy are in the audience, you know, a recital." And she gives me this look like, "WTF did you just say. I am going to be doing what?" So this just might end up similar to the Christmas recital (reminder: WAH!). We'll see. Are the other girls older? Or is Bella just a foot shorter by genetic influence? Say my kids are cute. Say it! !